Do you have a child in your house? Today I have something special just for him! Following is a devotion written for kids (although you adults might enjoy it, too). So, gather your children around and spend a little time with them looking at an Old Testament Passage in a slightly different way. NOTE: This devotion is taken from my children’s devotional, My Brother’s Feet Smell as Bad as Noah’s Ark! (and 30 Other Devotions That Stink). For more information on the entire book, scroll down to the end of the page. Have you ever gone swimming in a mud pit? My brothers and I have and it is a lot of fun. However, it is also pretty messy, and the muddy water leaves a smell that stays with you long after your swimming time is over. Oh, and the mud can leave a ring in the tub after your bath (which your mom will insist you take the moment she sees that you have been swimming in a mud pit). And I should mention that your mom will probably force you to clean off that ring with your bare hands, no matter how much you mention child labor laws. So we thought of something. Upon further examination, we realized that our hose was long enough to reach the hole from the faucet on the side of our house, so we began to fill it with water. When the hole was filled, it made a perfect little pond. “Last one in is a rotten egg,” I yelled as I dashed into our new pool. My brothers all followed me, and we spent the next hour in the water. Only, my mom didn’t see things quite the same way. When she saw us about to enter the house, she threw a hysterical fit. “Exercising,” my older brother responded. And then she saw our lake. But to her it wasn’t a lake . . . it was a mud pit. There was a man named Naaman who had a disease called leprosy. He also had a servant girl who had been taken captive from the Israelites. One day, the servant girl suggested that he visit the prophet in Israel who might be able to heal him of his leprosy. It was worth a shot, so Naaman took a trip to Israel. When he got there, the prophet didn’t even come to see him face to face. Instead, he sent a messenger with instructions for him to dip himself seven times in the Jordan River. You see, when Naaman looked at the Jordan River, he didn’t see healing waters. All he saw was a muddy pit. “None of you will enter into this house until you have sprayed all the mud off with the hose, and then each one of you will take a bath!” We could tell that mom was upset. She gave us her instructions and then went back in the house, mumbling something about needing an aspirin and why we had to all be boys. Getting the mud off of us with the hose was a lot of fun. Taking a bath? Not so much. Some of the mud was caked on pretty hard. It took a long, long time to get the mud off. I didn’t think my youngest brother would ever be clean. But eventually we were squeaky clean once again. “Why don’t you at least give it a try?” Naaman’s servants coaxed him. And so Naaman decided to go for a swim. Slowly, he walked on the muddy river bank and into the cool water, where he dunked himself under the water seven separate times. And when he came up that seventh time, he was squeaky clean once again. When the baths were over, my mom walked into the bathroom and looked at the tub. “Get in here and clean out this tub!” we heard her holler. I don’t know what her problem was. Brown bathtubs are in style in some parts of the world. But brown tubs are not good enough for my mom. “Clean it out!” she demanded again, even after my older brother informed her that there were child labor laws she should follow. She handed my brother a washcloth and walked away, muttering something about early bedtimes. You know, we all have things in our lives that make us dirty. I’m not talking about outward dirt, like the leprosy of Naaman or the mud of my brothers and me. I’m talking about dirt on the inside – sins we commit that keep us muddy, dirty and stinky. But God provided a way for us to get that dirt off. He sent Jesus. Because of Jesus’s death and resurrection, we can have all of our sins washed away. We can be squeaky clean! Have you had your sins washed away? Or are you still playing in a mud pit? 1. What do you think would have happened to Naaman if he had refused to dunk himself in the Jordan River? 2. How do you think Naaman felt when he discovered that he had been made clean? How do you think his life changed after that? 3. Have you ever been made clean? If not, what is keeping you from asking Jesus to make you clean? 1. Spend time today thinking about your life and your relationship with Jesus. Do you have a relationship with Jesus? Or do you need to start one today? Pray about what you need to work on in your life. 2. Spend time today thanking God for how He has washed you and made you clean. Thank him for the gift of forgiveness. 1. Draw a picture of Naaman being healed from his leprosy. 2. Have you ever been baptized? Draw a picture of it. 3. Write a story about how you became a Christian. For more on this story, see 2 Kings 5:1-15. From: My Brother’s Feet Smell as Bad as Noah’s Ark! (and 30 Other Devotions that Stink) by Cheri Gamble, copyright 2015, Ministry Mom Books, all rights reserved. Oh, I loved the story. I laughed out loud about your mother. I believe that children will relate to this story and follow its biblical lessons. Aw, where was this when my 3 boys were little! We had a children’s devotion book but I LOVE this. Thank you for sharing. I loved this, Cheri! It’s brilliant! I hope to order a copy of the book soon – I saved this one, and I’ll read the next one to my boys – they’ll love it! 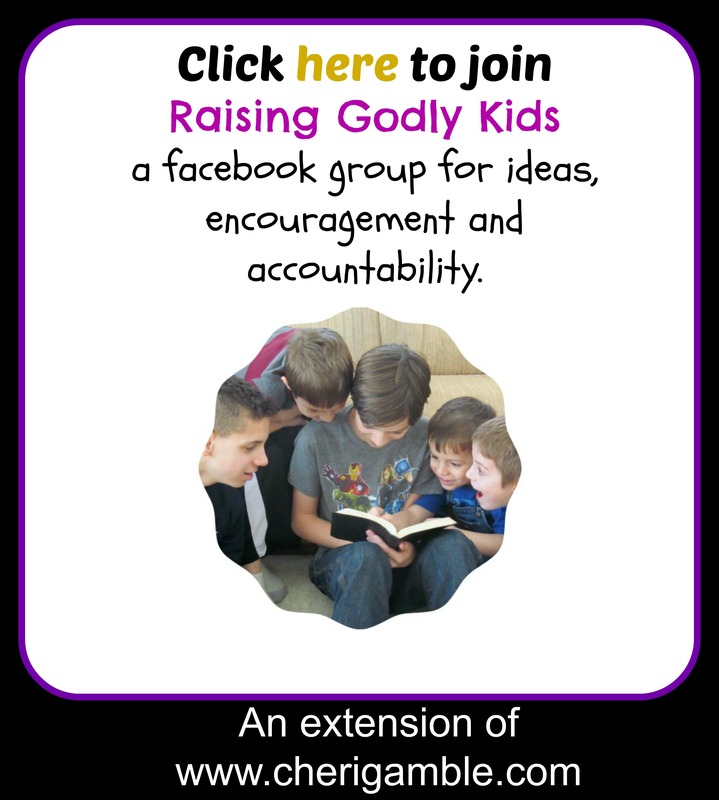 This is a great devotion for the kids! That mud pit is such an easy thing for them to relate to. This is great to do with your kids. I know my grandkids will love learning from this. Cheri, this is great! So much to learn as an adult and to share with our kids. My kids played in a big mud puddle on our farm this week. Now, we have an excuse to do it again…this time with a devotion. This is great! I know my boys would love it! Love it! One of our favorite summer activities is minnow hunting in the river bed. Mud is good for us occasionally. When they were toddlers & preschool I would strip them down to skivvies & send them out to play in a mud puddle at least once a year. The pictures are so much fun to look at.